This month has been busy in the office and on the road with many customers taking advantage of our great deals on our March Special Offers, especially with our rump, rib eye and chateaubriand steaks, all available until the end of the month. There was plenty of special events too including British Pie Week, National Butcher’s Week, Pancake Day and more, with our non-meat products highlighted as we move to establish ourselves as not only a butchers, but a catering service fulfilling all product needs. That being said National Butcher’s Week, 11th to 15th March, was a great week celebrating our butchers and the fantastic products they produce. We had customers visit with Area Sales Representatives Mike and Lucy who gave them an educational tour around our fantastic production; this included the Sly Fox, Pork Farms and Isabel’s Restaurant. There was lots of positive feedback from them with customers taking on new products including fresh burgers, sausages, rib eyes and striploins. If you’re interested in having a tour yourself, please contact your Area Sales Representative to arrange. We also had a #askthebutcher competition over on our social media giving an opportunity for people to leave questions for our butchers as entry to win 2 x 10oz Angus Rib Eye Steaks, from our March Special Offers. Keep an eye on our social media where all your butchery questions will be answered by our knowledgeable butchers and staff. 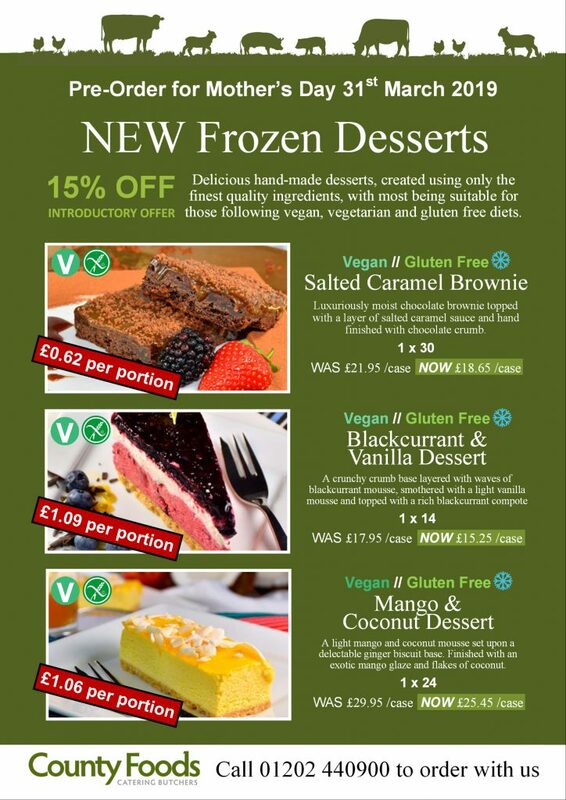 Recently we’ve brought in many new product lines following the recent vegan products trend. 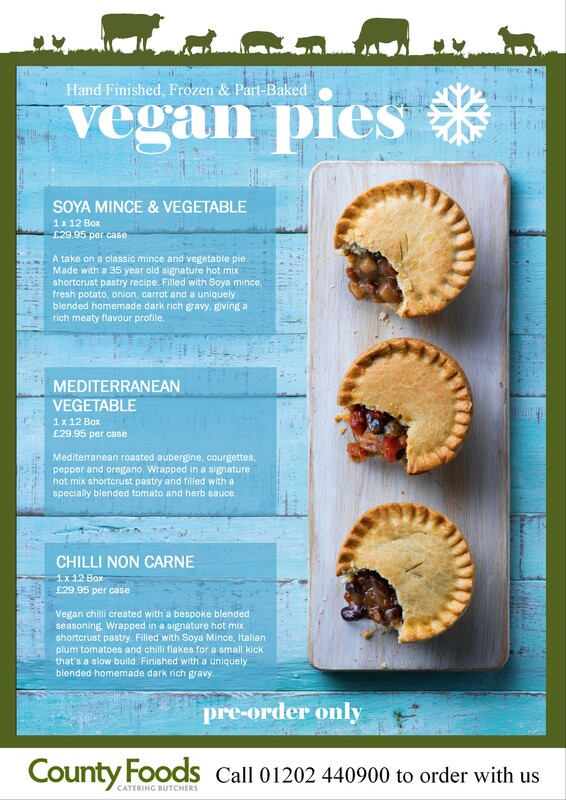 This includes our new vegan pies, with three different fillings, Soya Mince and Vegetable, Mediterranean Vegetable and Chilli Non-Carne; vegan Moroccan Falafels and range of new frozen desserts suitable for vegan, vegetarian and gluten free diets. 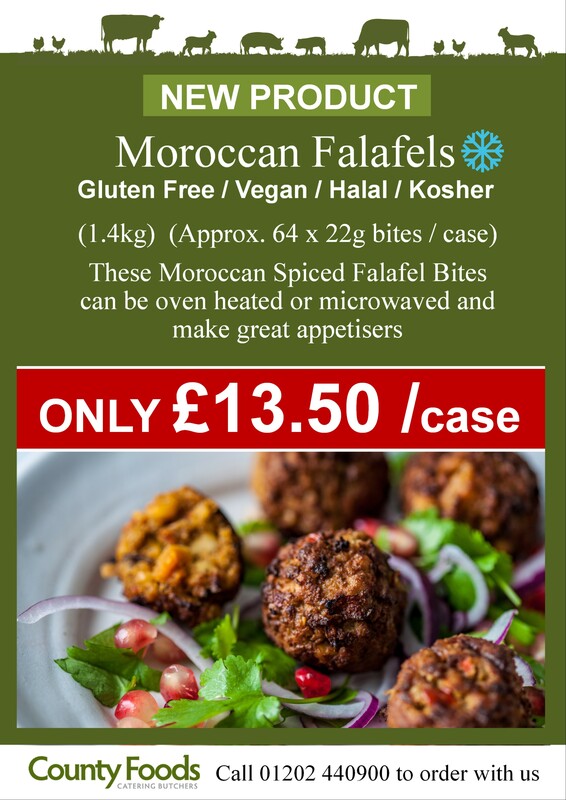 Try these new products out on your menu to cater for your vegan and vegetarian customers and contact our sales team for more information! 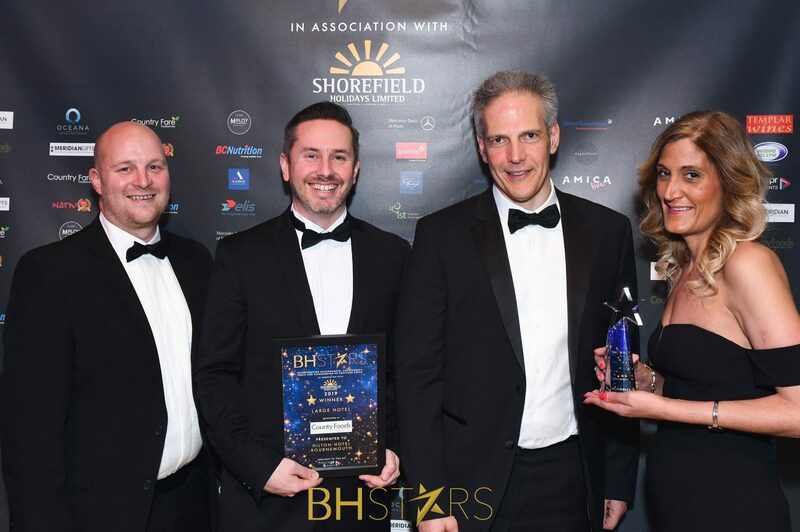 The BH Stars Final was on Thursday 14th March, hosted at The Lighthouse in Poole and was a successful night attended by Managing Director Doron Krips, Business Development Manager Mike Kelly and Area Sales Representative Rob Sampson. 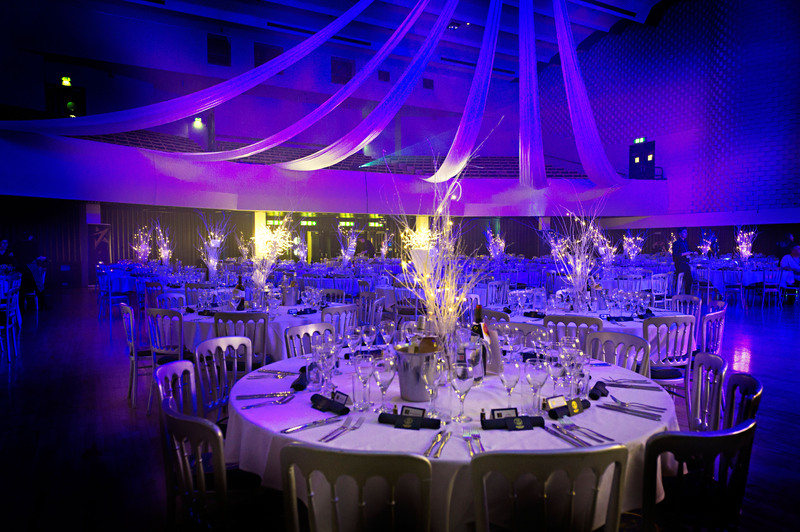 As sponsors of the Large Hotel category Doron presented Gold to the winner of the category, The Hilton Hotel in Bournemouth with joint Silver going to Christchurch Harbour Hotel & Spa and The Cumberland Hotel and Bronze going to Marsham Court Hotel. 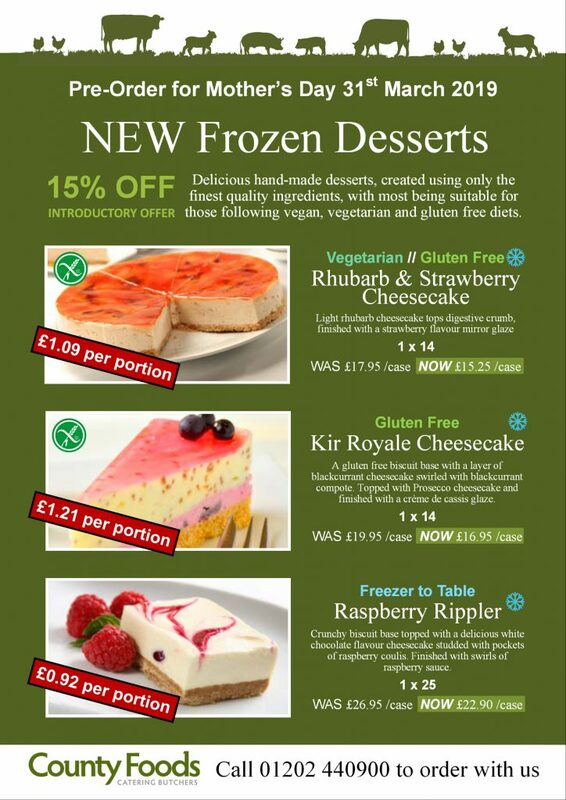 Don’t forget all of our special offers can be viewed via our Facebook, Twitter and in emails which you’ll have received if you’re signed up to our trade customer mailing list. 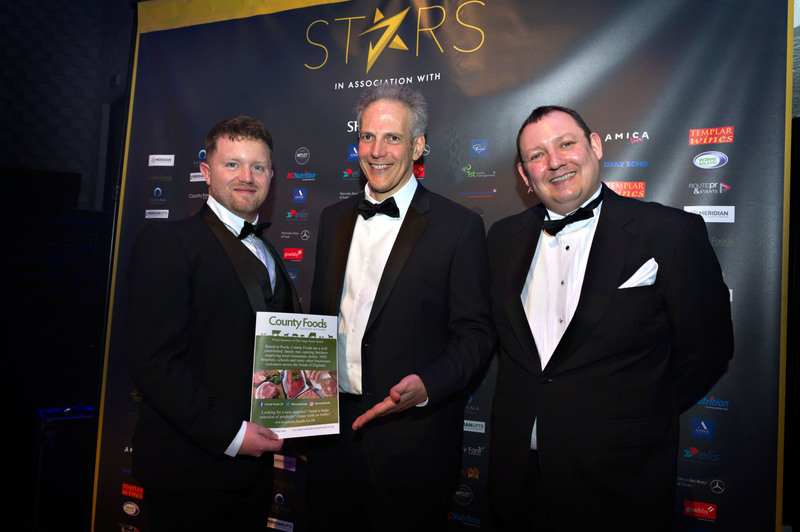 Alternatively call our experienced Sales Advisors on 01202 440 900 to get great on the day deals on our quality meat and on our limited stock offers or alternatively email them at sales@countyfoods.co.uk for all the latest County Foods news and bargains!